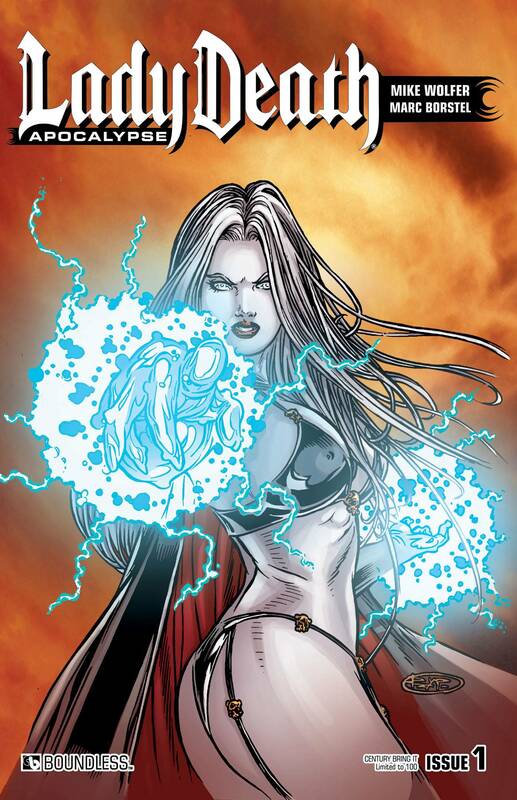 The very last of the Lady Death Century covers! Never-before-offered in Previews, the three Century covers for #1, Bring It, Crackling, Moonlight, are now available in ultra-limited quantities! The Century line is the rarest of all Lady Death collectibles and is limited to a scant 100 copies each.